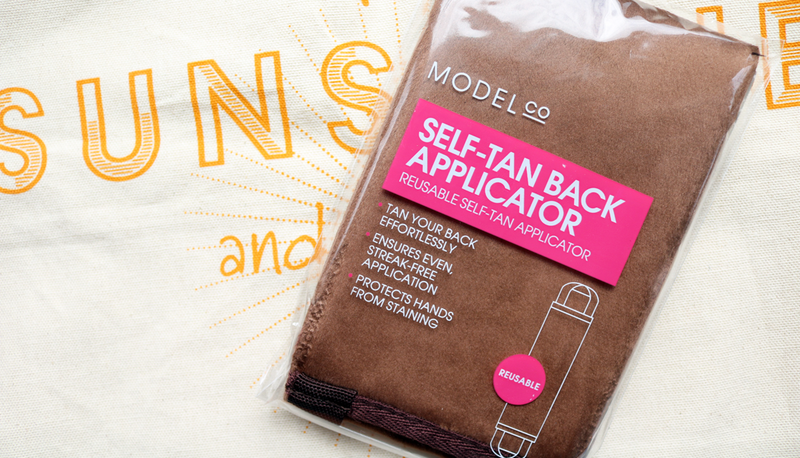 The Easter Bank Holiday has been a bit of washout weather-wise in my neck of the woods, so it's been the best opportunity for me to test out some new self-tanners from ModelCo! ModelCo are a cruelty-free Australian brand who I've tried a few of their makeup products from in the past, but I'm not overly familiar with their range. They do seem to be one of those brands that frequent the world of beauty boxes and Glamour magazine freebies quite a lot (in fact, I believe their Contour Stick is in this month's Glossybox), though they're not a brand that I see many people talking about. However, this may be all set to change as their new self-tanning range launched in the UK in Superdrug recently, and they've got some big name celebrity ambassadors on board including Rosie Huntington-Whitely, Elle Macpherson and Dannii Minogue. 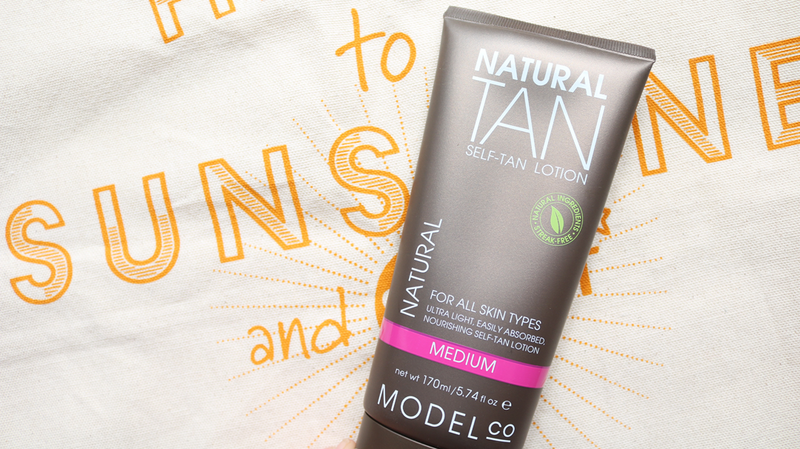 ModelCo's self-tanning line features a whole host of products including mousses, lotions, wipes, body scrubs etc, and with the campaign promising a 'supermodel worthy' tan, I just had to try some! Self-tanning can be a long process, what with all the shaving, scrubbing and general prep work involved, and that's before you've actually applied the tan. This is why self-tanning products that develop in just one hour are so popular, and as I've been a long-time fan of Cocoa Brown's One Hour Instant Tan, I was interested to see how ModelCo's version would compare. 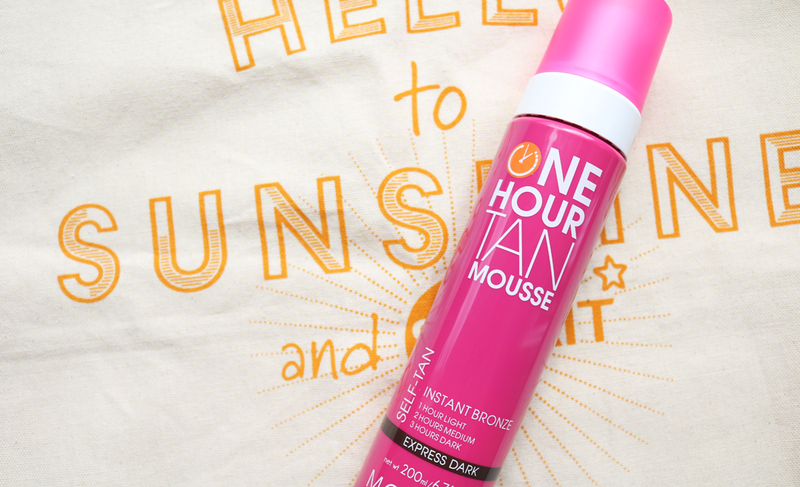 ModelCo's One Hour Tan comes in one colour, Express Dark, but don't let that worry you as this tan allows you to control how dark you want to go. If you prefer a light tan, just leave it on for one hour, whereas a medium tan requires two hours, and with three hours, you'll get a proper dark brown shade. The first thing that I noticed when I used this tan was how thick the mousse was - I think it's the thickest texture that I've ever experienced from a self-tanning product. It smells pleasant enough (like subtle coconut with a bit of the traditional biscuity fake tan smell there), and the initial guide colour is very dark. I applied it as usual with a tanning mitt and thought it went on well smoothly, but this tan is SO STICKY! It doesn't seem to fully dry and felt tacky for the whole three hours that I left it on for which made things awkward as I didn't want to get dressed or go to bed with it on as it does transfer slightly onto things. In the end, I put my dressing gown on and made sure that it went straight into the washing machine afterwards. However, after three hours and a quick shower, I was left with a beautiful dark, but still natural looking, tan and it lasted around 5 days before starting to fade. I didn't have any streaks or anything like that, and I had lots of compliments from family and friends. I've since tried it for one hour for a light tan and two hours for a medium one, and both turned out really well with gorgeous natural tan colours. I only wish it didn't feel so sticky/tacky when it was developing as I imagine that will put a lot of people off, but I do love the end results. If you have sensitive skin, it can be really difficult to find a suitable self-tanner, as many can be very drying, but ModelCo have developed one just for sensitive skin types that won't dry out your skin. Their Natural Tan Sensitive Self-Tan Lotion uses a range of natural ingredients such as Sweet Almond Oil, Cocoa Butter, Macadamia Oil, Coconut Oil, Goji Berries, and Aloe Vera, to ensure that skin is kept moisturised, soothed and protected. The formula is also free from parabens, PEGs, sulphates, silicones, glycol, mineral oil and synthetic colours to avoid irritating the skin, and like the rest of ModelCo's self-tanning range, it's suitable for vegans to use. Another thing that I found interesting about this formula is that the DHA tanning element is derived from sugar so it doesn't have that common drying feel like a lot of other self-tanners have. I applied the lotion with a tanning mitt and it had a very similar scent to the One Hour Tan Mousse above. Thankfully, it was a lot less sticky, and absorbed much better than the mousse. Applying it was really easy as it just feels like a regular body moisturiser, but be aware that it goes on clear as there's no guide colour. This tan takes around 6-8 hours to fully develop to a medium shade, and I left it on for the full eight hours overnight (it didn't stain any of my white bedsheets or clothes). I showered it off and was left with a really beautiful natural looking tan - not as dark as I expected, but a good light-medium colour nonetheless. Best of all, my skin didn't feel dry or irritated, and the tan lasted 3-4 days before it started to fade. I did see one or two patchy areas where I'd miss applying it, so if in doubt, I'd recommend adding an extra layer to make sure that you're properly covered. Definitely a good one to try if you have sensitive skin! Now this is pure genius! Honestly, I don't know why every fake tan brand doesn't have one of these in their range! It's a large, rectangular shaped self-tanning mitt that you can use for your back and those hard to reach areas which means that you can apply fake tan whenever you want - no more having to wait for one of your friends to turn up to help you! I found it very easy to use, especially with the mousse formula, though the material does seem to absorb more product than a regular tanning mitt does. I absolutely love the sheer convenience of this applicator, and the mitt itself feels very smooth and soft, plus those handles allow you to make sure that every angle is covered. It's brilliant! 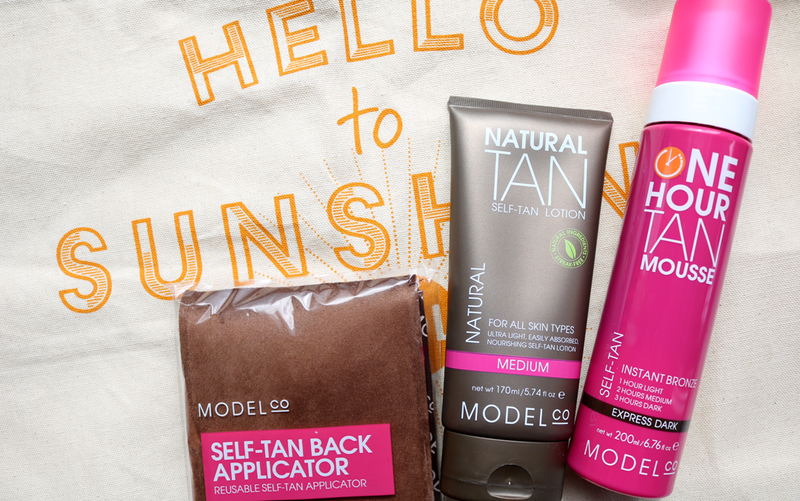 Have you tried anything from ModelCo's self-tanning range?